I took this photo of the Chicago River after work yesterday. 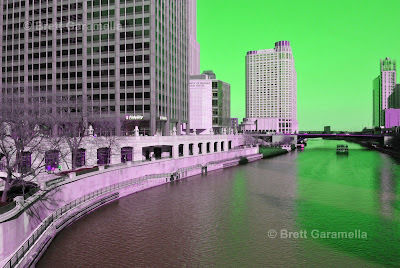 The river was dyed green on Saturday, and had basically worn off by the time I snapped this shot. I used Photoshop for the coloring. 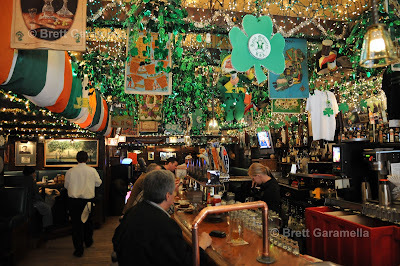 On my way home I stopped in my favorite Irish bar, Butch McGuire's. This place is truly a classic. It was here where I watched the White Sox win the World Series two days after arriving in Chicago in 2005. As you can see, they take decorating seriously. Yes, good call... definitely was New Year's '06!